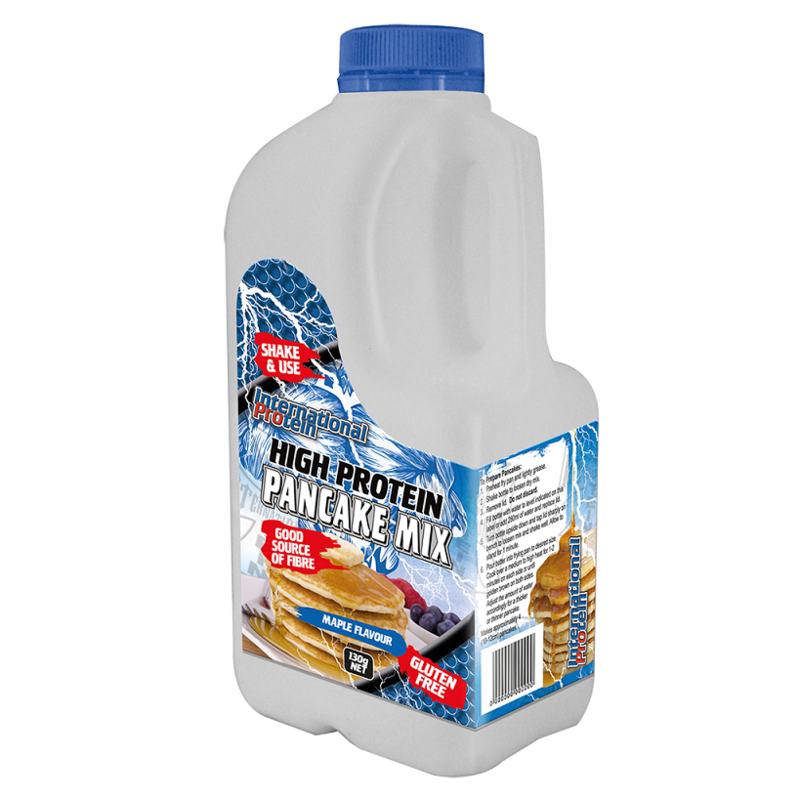 International Protein’s High Protein pancake mix to create pancakes with a difference! Not only are these pancakes high protein, they are also gluten free and a good source of fibre! To take the mess and waste out of pancake making, International Protein’s High Protein Pancake Mix comes in a convenient 2 serve bottle. Just add water up to the line, shake and cook. 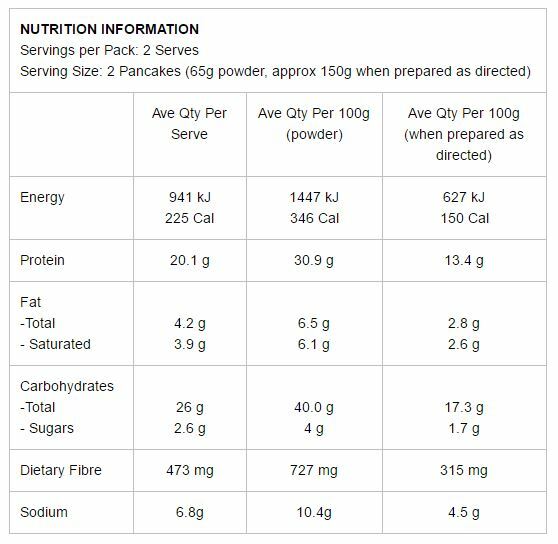 Each serving makes 2 large pancakes and packs 20g of protein from WPI. If you don’t want to use all the pancake mix immediately, you can store the remainder in the fridge for up to 2 days! Pre-heat and slightly grease a pan. Open up the container and pour water to the level indicated. Mix well and allow to stand for a few minutes. Pour mixture onto pan until desired size has been reached, cook 1-2 minutes either side or until golden brown. Each carton makes approximately 4 pancakes.